In a broader sense, efficiency is “a ratio of what we get to what we give”. In shipping, we employ ships (and ports) to perform transport work. Transport work i.e. the movement of a given quantity of freight and/or number passengers over a given distance has to be produced with the maximum level of safety (inc. security) and the minimum impact upon the natural environment, whilst keeping the CAPEX and OPEX of employed assets (e.g. ships) low. Τhe increased demand of international (sea) trade in specific quantities and types of transportables has led to ship specialisation (i.e. to the emergence of various types and sizes of ships, such as very large crude (oil) carriers, handymax bulk carriers, panamax cruise ships, etc). 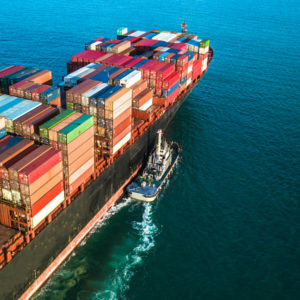 The highest number of ships belongs to the general cargo carrier type, accounting for almost 30% of the nearly 60,000 vessels associated with the provision of sea transport services. Oil and chemical tankers, as well as bulk carriers occupy the second and third position respectively, with approximately 20% each. In terms of gross tonnage, bulk carriers take-up more than a third of the 1.2 trillion tons approximately supplied by the overall fleet, whilst the tonnage of oil & chemical tankers stands at 28% and that of container ships at 18 %. 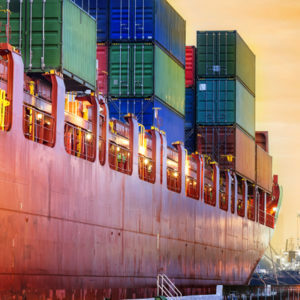 During the last 18 years, seaborne trade expressed in terms of ton-miles has shown a continual increase with the exemption of a drop in 2009 following the Lehman Brothers collapse. In 2017 the total transport work has reached over 55 trillion ton-miles, which constitutes an increase of just over 80% in comparison to the year 2000. 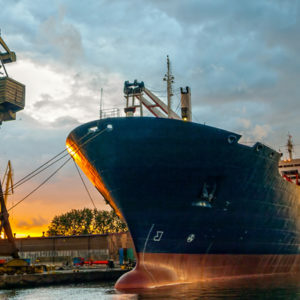 Throughout the last twenty years, the top three performing seaborne trades are those associated with other dry cargo, main dry bulks and oil, in descending order. 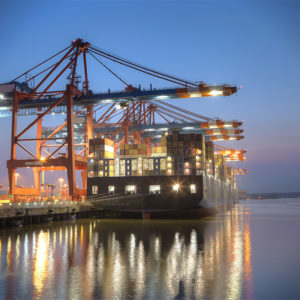 However, over the same period, the fastest growing performed transport work is that associated with the carriage of containers, followed by that of main dry bulk cargoes and gases. With regard to the safety record of ships, during the last decade, there is definite reduction in the number of recorded total losses of ships which is equal to about 40%. This reflects the increasing influence of the enforced safety measures over the same period, with the predominance of the ISM Code in the promotion of safety management and ultimately the control of human errors. A ship’s mission requirements are met by inputs which directly or indirectly produce outputs in the form of pollutants to the marine, air and land environment. The carriage of oil cargo by tankers and marine fuel and lubricants by all ships is responsible for the incidents of accidental and operational oil pollution. However, over the last fifty years, there is a significant decline in the number of spills, which is attributed to a multitude of factors ranging from improved navigational aids and crew performance to improved ship designs and spill avoidance measures (e.g. stronger ship structures, DH, SBTs).